Eyes: Though obscured by his -ungodly- mess of hair, Efil's eyes shine a green hue. Hair: Efil's dull brown hair obscures more than half of his face. 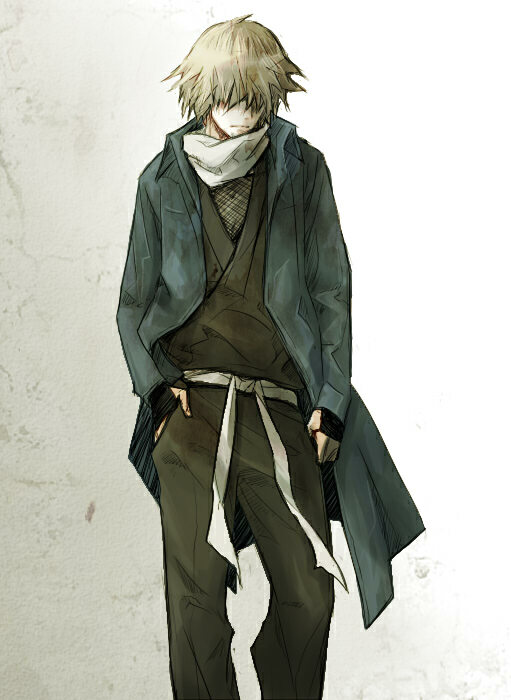 Appearance: Efil usually seems as his image describes him, though if possible, he can, and will don something more protective than his casual wear. Special Abilities: "CONSUME! ": Efil's flames are known to leave nothing in their wake. Not even ash. Personality: Generally known as 'That Guy,' Efil's personality comes nothing short of blunt, or a touch of kindness, here and there. But, he is rather quick to comment on scenery, details, or even how annoying a person is or was.